The CPU-71-17 is a VXS/VME bus CPU board based on the Intel® 4th generation Core™ processors. Thanks to the VXS P0 connector provided by the CPU-71-17, VMEbus users can enjoy high-speed serial communication capability without modifying their existing assets. The VXS serial bus standard improves the speed of the parallel VMEbus allowing transfers up to 6.25 times faster. performance, introduces the new Advanced Vector Extensions AVX2.0 and enhances security with AES-NI. 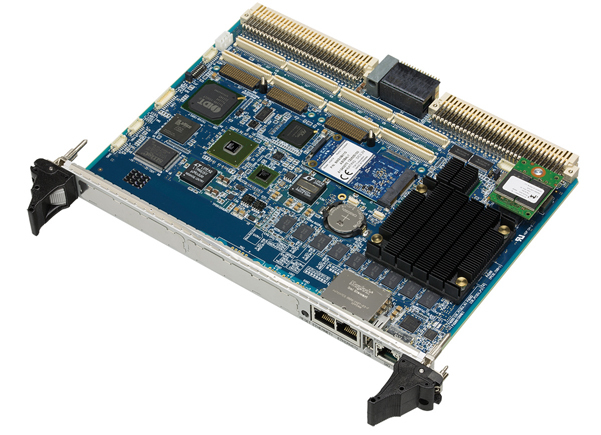 including Serial RapidIO, mSATA, eUSB2.0, XMC(Gen3)/PMC, Gigabit Ethernet, and serial ports.